John Charles Wilson & Robert Doran Sr. The John Charles Wilson - Robert Doran Sr. 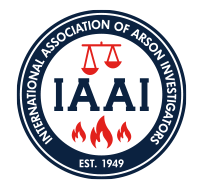 Scholarship is a program by which the IAAI Foundation and its benefactor partners provide financial assistance to select individuals to enhance their education in the fire/explosion profession by attending the IAAI International Training Conference or other select IAAI Training events. The IAAI Foundation may award up to five individual scholarships annually. Successful applicants will receive a scholarship to address registration and lodging costs for attending the ITC or other approved IAAI Training events. The scholarship program is not designed to address all of the costs of attendance, but rather to cover specific costs, which would enable individuals a greater opportunity to attend an IAAI Training event. Eligible applicants must be a current IAAI member or current IAAI Chapter member to apply. Applicants must submit a completed application, along with a short narrative on why they are making application for the scholarship program. Scholarship applications must be received by the IAAI Foundation by August 1. Successful applicants will be notified by October 1 of that year for attendance at the following year’s ITC or IAAI Training event. Please submit completed applications via email to iaaifoundation@firearson.com, or by mail to IAAI Foundation Scholarship, 2111 Baldwin Avenue, Suite 204, Crofton, Maryland 21114.The application is also available on www.firearson.com on the IAAI Foundation page under About IAAI. Address all questions to iaaifoundation@firearson.com or by phone 410-451-3473.